Halloween has always been one of my favorite holidays. As a young child, I awaited October 31st with the kind of reverence that most little kids reserve only for their birthdays or Christmas morning. I would begin to plan my store-bought costume in August and would make trick-or-treating plans for the following year starting on November 1st. I lived for the one day a year that I could embellish my strict school uniform with a black and orange headband, the one practice a year that ended half an hour early so that we could have extra time to trick-or-treat, and the one night a year where I could be anyone I wanted to be. Unfortunately, as I got older and other responsibilities began to take priority over this glorified, international game of dress-up, I began to develop a bit more of a lax attitude toward my own plans and costumes. 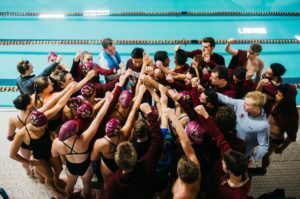 The beginning of fifth grade marked the end of swimming under coaches who would adjust practice schedules to fit our Halloween desires, and my Halloween nights began to be disorganized, costumed block party nights with my swim teammates. I look back at many of my Halloween costumes as utter failures, but two instances stand out to me the most. In 2014 and 2016, my “costumes” were so last minute that I simply decided to dress up as the one thing that I knew I could pull together quickly… a swimmer. I donned old stretched-out racing suits (a level of discomfort I would not ever wish upon even my worst enemy), my team warm-up jacket, goggles, a medal, and prepared to use my mesh gear bag in place of a pillowcase in the event that the adults in my friend’s neighborhood would have the kindness to give my teammates and me some treats. Despite the fact that, at the time, these pitiful attempts at costumes were honestly disrespectful to the holiday of Halloween itself, upon reflection, I consider my two years of dressing up as a swimmer to be curiously significant. 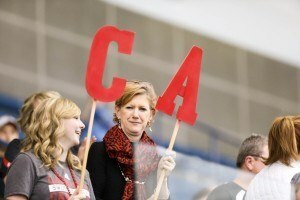 In 2014, I was asked by countless non-swimmers what I was supposed to be. Was I a track runner? A wrestler? A generic Olympic athlete? As I stood in a crowd amongst countless ghosts, witches, fairies, and ghouls, my generic costume still stood out as the only unidentifiable ensemble in the neighborhood. Only the goggles on top of my wet, messy bun provided a clue that I was, in fact, dressed up as a competitive swimmer. I would see people’s eyes flit up to my head as they offered forced smiles that failed to reach their eyes, “Ohh… I see it now!” Looking back, I can see clearly why people failed to recognize my outfit. At the time, not many people were regularly exposed to swimmers wearing knee-length swim suits and jackets typically associated with land sports like soccer and track. However, in 2016, my costume was met with completely different attention. Mere months after the 2016 Rio de Janeiro Olympic Games, everyone knew what I was supposed to be. Not only was I automatically recognized as being dressed as a swimmer, but I also received questions about specific athletes, “Are you dressed as Michael Phelps?” or, “Are you supposed to be Katie Ledecky?” People who were in no way involved in the sport of swimming understood what a competitive swimmer in racing garb looked like. I was shocked. 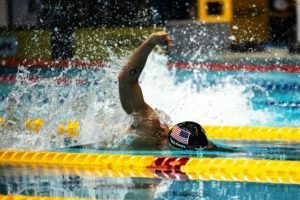 Halloween of 2014 and Halloween of 2016 provided me with a remarkable insight into the influence that our world-class swimmers have had on American society. 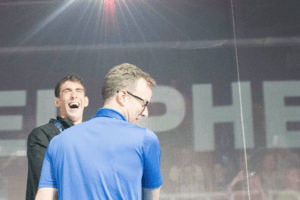 Because of high-profile athletes like Michael Phelps, Ryan Lochte, Katie Ledecky, and Allison Schmitt, among many others, the sport of swimming has been catapulted into the limelight. The finals of the Olympics were aired on television during prime time. Countless youths are joining the sport. 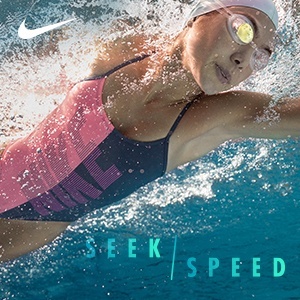 Swimmers are appearing in advertisements. And a fifteen year-old girl dressed as a swimmer was able to be recognized for the first time as an example of a respectable athlete. The growth of our sport as a whole–in even just the last decade–has been more than remarkable. 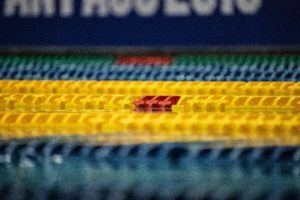 Ever since I was a little girl, I was always disappointed in the lack of respect that I felt that swimmers received, especially in comparison to other athletes. 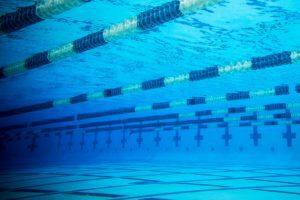 In elementary and middle school, I would swim up to nine practices a week only to be informed by my fellow students at school that no one even considered swimming a “real sport”. 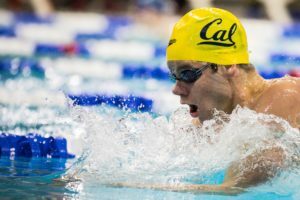 Yet now, because of the countless athletes working every day to race in ways that shatter the world’s expectations, the sport of swimming is finally receiving the attention it deserves. So while this year is similar to years past in that I am completely and utterly unprepared for Halloween, I will certainly have a different perspective. To me, Halloween has always been about being whoever I wanted to be, and last year I truly achieved that for the first time. For years, I had wanted us swimmers to be recognized as valid and respectable athletes, and, finally, I feel that we are. And no treat will ever top that.